The Model 'G' oscillator is a series of push-pull oscillators of different configurations. When I first invented it in December 2010, it was rather crude, as shown in the figure, but evolved into the machine which became the subject of interest to my thesis. By the seventh version, the one described in detail including circuit diagrams and antenna parameters, it would run many hundreds of hours. The Model 'G2' was a reconstruction of the first model because the breadboard I chose to build upon had a terrible chemical smell which permeated, especially when it was running. 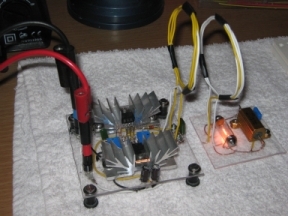 The first model I could not run but for a few minutes at a time as the capacitors got quite hot--almost 90C. 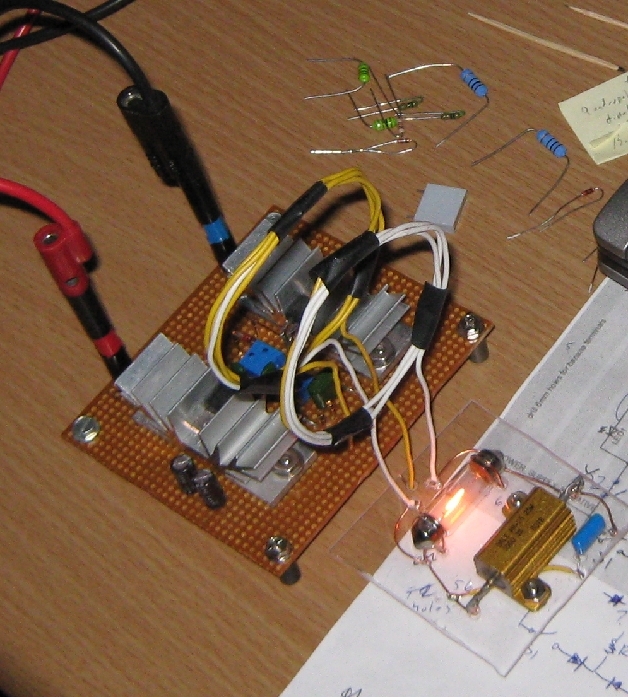 However, even with the second model, the heat problems at the capacitor at the antenna still got hot. A homemade heatsink did little to help. The Model 'G7' consists of only five circuit components and one antenna. What is most interesting is the periodicty between each cycle of the mosfets implies motion of the electrons in the conductor between an arbitrary "left" and "right" side of the circuit. This means the potential on the circuit in infinite at certain times in the cycle--at the points of transition when the acceleration force switches direction.